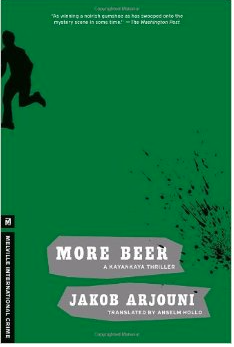 More Beer – Mehr Bier is the second novel in Jakob Arjouni’s Kayankaya series. It’s set in Frankfurt, Germany. PI Kayankaya is of Turkish origin. While Arjouni was still alive, he was called Germany’s answer to Raymond Chandler. I always found this comparison problematic. Arjouni writes extremely well. I’d say he’s definitely at the literary end of the crime spectrum. His books are hardboiled noir. Kayankaya is a cynical loner who gets beaten up more than once, still, I don’t think he has a lot in common with Marlowe. The differences are quite subtle but they are important. I remeber hating how Kayankaya killed a fly in the first novel. In this one, he beats a rat. Marlowe would never do something like that. I remember noticing after I’ve read three or four books by Chandler that Marlowe has a great fondness for animals. Kayankaya is much more jaded. More Beer sees Kayankaya investigate the murder of a chemical plant owner. Four eco-terrorists have been charged with the murder, but it seems highly unlikely that they did go that far. Unfortunately,they don’t want to talk. Early on, it becomes obvious that there was a fifth man involved. But who and where is he? The defendants’ lawyer hires Kayankaya to find him. He investigates with his usual stubbornness, even pursuing after he gets beaten up a couple of times. Kayankaya is a loner, a heavy drinker, a disillusioned man with an acerbic wit. And constantly mistreated because of his origins. I forgot how old these books are. This one was written in the 80s and to read about the way Kayankaya is treated was quite shocking. I think the status of people of Turkish origin has changed meanwhile. At least I hope so. Creating a character like this in the 80s must have been pretty provocative. I’m not too sure what to think about this book. I found the first in the series, Happy Birthday, Türke – Happy Birthday, Turk, so much better. But while I didn’t care for the story of More Beer, I loved the writing. I’d forgotten just how well Arjouni writes. 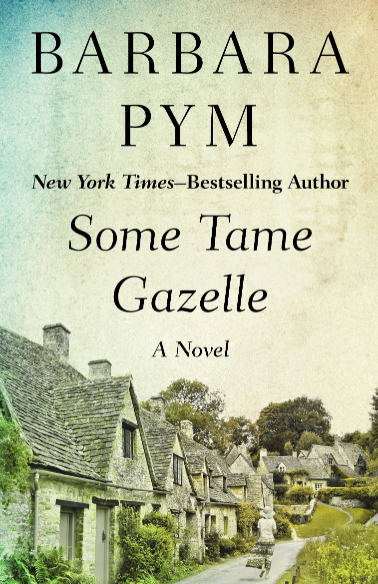 The novel is full of memorable metaphors like when the narrator compares rain drops on a windshield to a herd of animals running. For that alone, I might reread it and will certainly not wait another ten years before I read the third one. Most of Arjouni’s novels have been translated and published by Melvillehouse. 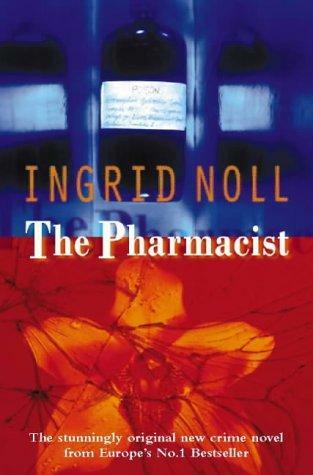 Sadly the author died of pancreatic cancer in 2013. He was 48 years old. 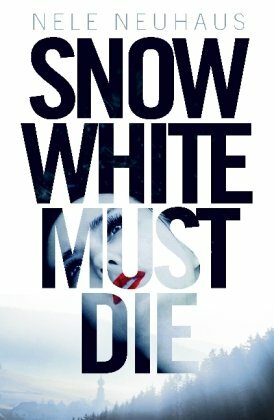 Nele Neuhaus has just been published for the first time in English (Snow White Must Die) and I thought that was a good opportunity to see for myself what this highly acclaimed German crime writer has to offer. 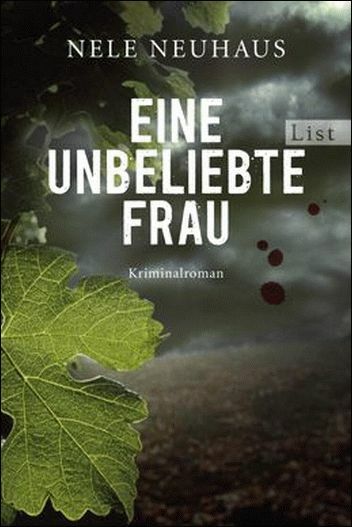 Neuhaus entered the German crime scene with her self-published novels. They were so successful that a big German editor bought them and re-edited and re-published the first ones and now her later novels too. Her very first book was a standalone called Unter Haien (Among Sharks), the second was the first in a series. What has currently been published in English is the fourth volume in the series with Chief Inspector Oliver Bodenstein and his colleague Inspector Pia Kirchhoff. I like to start series with the first book and since I read German, I bought it to find out what the fuss was about. There is a new crime writing star every few years in Germany, some like Charlotte Link have been popular for years, others, like Neuhaus are new. At the moment, whenever Neuhaus publishes a book, it will be a huge success with hundreds and hundreds of amazon reviews. Now on to the book. In German it’s called Eine unbeliebte Frau – An unlikable woman. A young extremely beautiful woman is murdered and the inspectors soon find out that she had a lot of enemies. It’s a classic whodunnit. As I said, I read the first in the series and it became quickly obvious why the English editor went for no. 4. I enjoyed it, I thought it was very gripping but not in a manipulative, cliffhanger-at-the-end-of-every-chapter kind of way. Rather in a laid back way. I liked that. What didn’t work so well was the way the two inspectors were introduced. It seems this gets better from book to book. 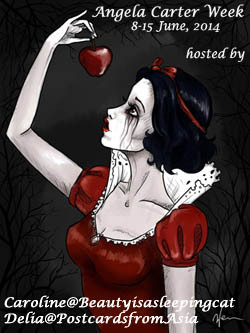 They are a bit pale in this one. Bodenstein less than Kirchhoff but still, they don’t feel like characters in a series yet but rather like inspectors in a standalone police procedural. The story as such is gripping. There are at least 6 or 7 suspects and it takes almost the whole book to make clear what happened. I liked that. I also liked what little we get to know about Kirchoff and Bodenstein, despite the fact that they are a bit pale, not very charismatic. The setting of the books is the Taunus region, near Frankfurt. Frankfurt is one of the biggest German cities and also one with a high crime rate. There are quite a few crime series and novels set in this town, the best known are certainly the Kayankaya novels by Jakob Arjouni who just died a few weeks ago. Choosing the Taunus region, and not the big city was a deliberate choice. It allows much slower stories and to integrate one of the core themes of the series, the wish of the two main characters to start a new life which should be less stressful and closer to nature. While this may not have been the most exciting crime novel I’ve ever read, nor is it literary – the writing gets the job done, it’s not refined -, it’s still a solid police procedural. It is well constructed and with a nice pace. I thought it was a promising start to the series which introduces good-natured characters, and I know I’ll read another one sooner or later. For English readers the good news is that it seems you can start with no. 4 and you will not miss out too much. No. 6 in the series has just been published in Germany. If you like your crime gripping but not too fast-paced, this is a good choice.